Why do we needs to convert audio file? With the popularity and rapid upgrading of the multimedia, there are various audio players with different features. Meanwhile, we have more requirements in audio parameters such as quality, sample rate or audio channel. In order to fulfill our different needs, we have to convert the audio formats. The most common requirements in format conversion are to convert audio to Midi and convert audio to mp3. 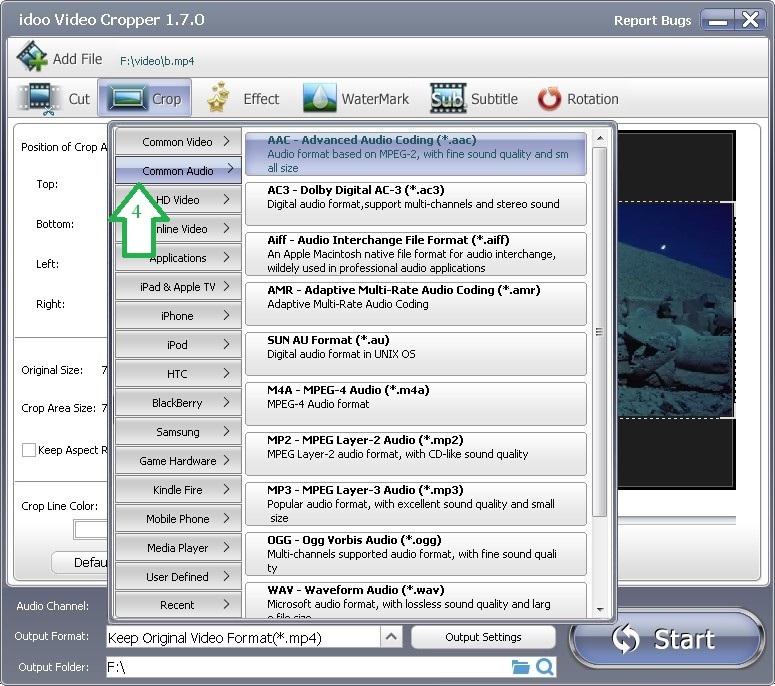 How to convert audio files without any loss of quality? 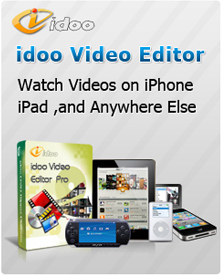 You may easily edit the audio or convert its format just by idoo Video Editor. While editing, you can find the list of “Common Audio” on the interface, and select the audio format you need from it. 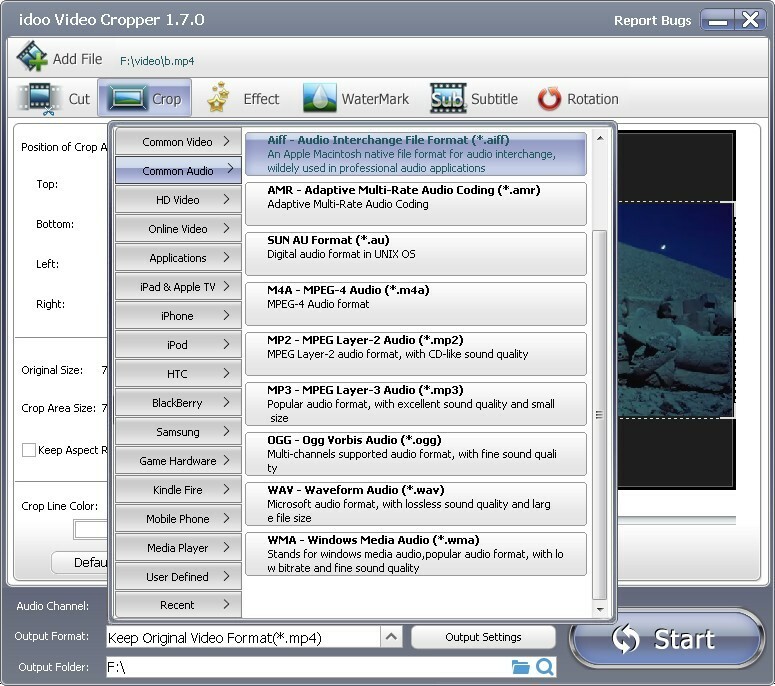 Moreover, idoo Video Editor will lost you no quality when convert the audio formats. The following part will illustrate how to convert audio files. 1. Select any function on main interface, click “Add File” (Arrow1) to select the file you want to edit. 3. Choose “Common Audio” in the drag-down list, and you may see the detailed list of “Common Audio” on the right. See pictures above. 4. 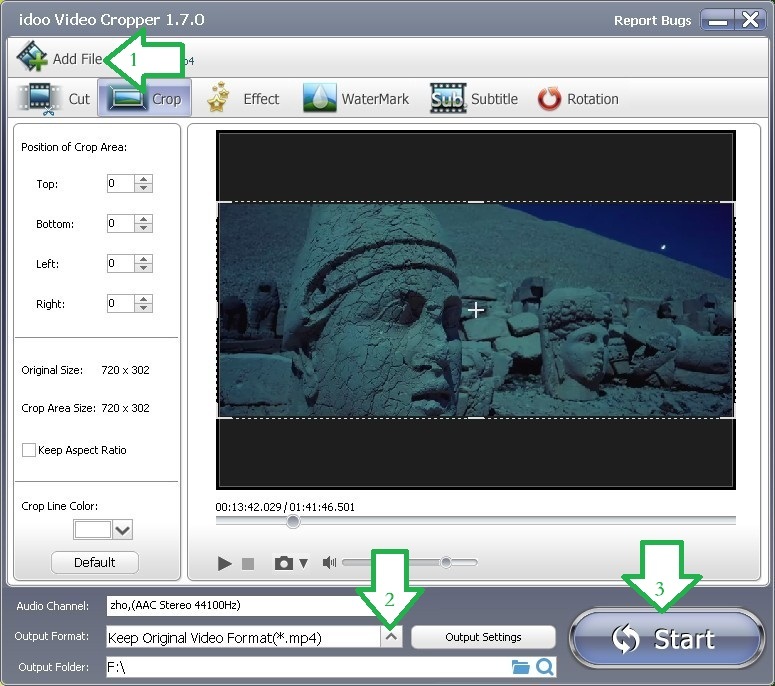 Select the target format, then click “Start” (Arrow3) to begin converting. 5. After that you may do further editing jobs to the audio. For more information, please refer to relative articles in our sites.